We all tend to believe ourselves honest and beyond reproach however this may not actually be the case . The results of his research (albeit with a relatively small test group) concluded that “Contrary to widely shared beliefs, sometimes the route to corruption leads over a steep cliff rather than a slippery slope’. To access the research paper click here. the research formed the basis of another thought provoking article “would you resort to bribery?’ Published in the conversation UK. 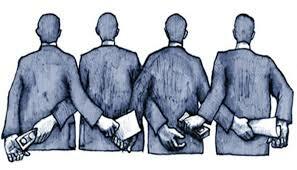 This article concludes “More effort is needed to prevent, detect and sanction those who engage in bribery. Particularly as this new study indicates so many of us are potentially corrupt’. Preaching to the convert maybe but whilst hardly groundbreaking the article allows access to some good reference points and is worthy of exploration.